Now-a-days everyone like achaar/pickle, we add achaar with our every meal regularly but we didn't think that we make achaari paratha also. Today I discover the new Mouth-watering recipe of Pickle/Achaari Paratha. Achaari paratha is a pickle flavored tasty bread. This paratha is stuffed with achaar masala only. 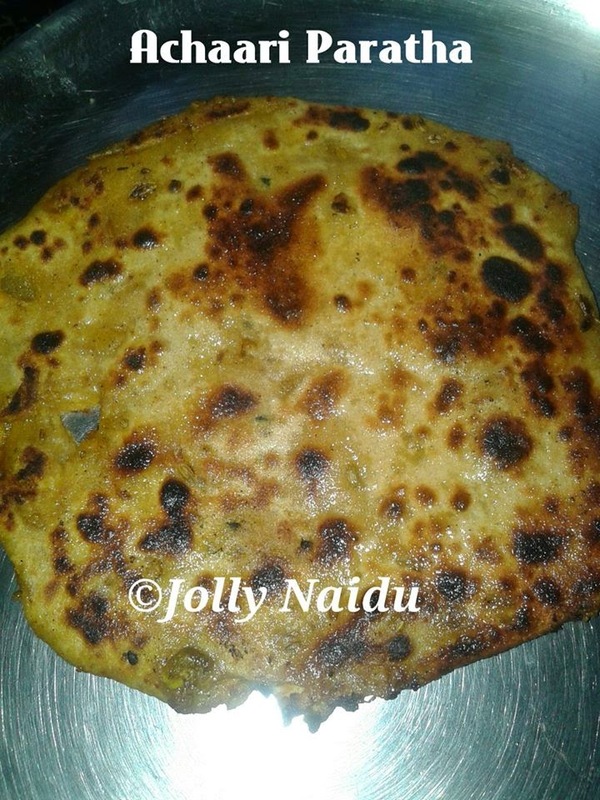 I use Pachranga achaar to make this paratha. Pachranga achaar is a mixed vegetable achaar. You can use any pickle, which are you using at your home. It's crispy and crunchy in taste. This is my new invention and creativity with cooking. 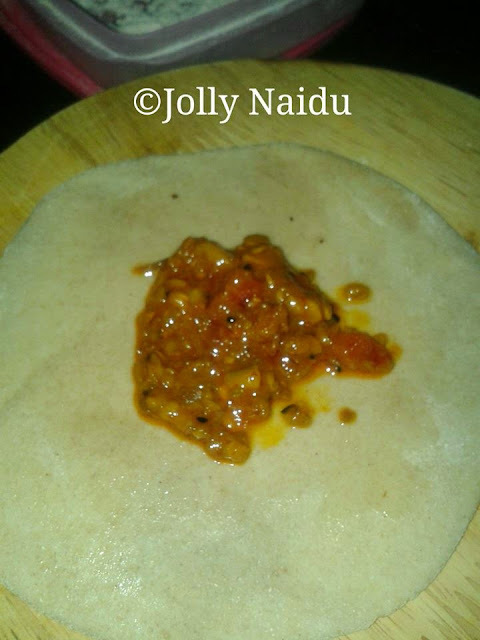 It is very simple and easy recipe to make. You can make end number of parathas like rice paratha, fusion stuffed papad paratha methi paratha, lachha paratha, onion and many more paratha . 1. Take a piece of dough in hand. With the help of rolling board and rolling pin, roll it out in a small circle. Now, put the achaar/pickle in the centre of the rolled out dough. 2. Sprinkle the flour on rolling board. Make a paratha with very soft hands and It should be little bit thicker than roti. Note :- Achaar/Pickle is coming out while you making paratha, don't worry for that. 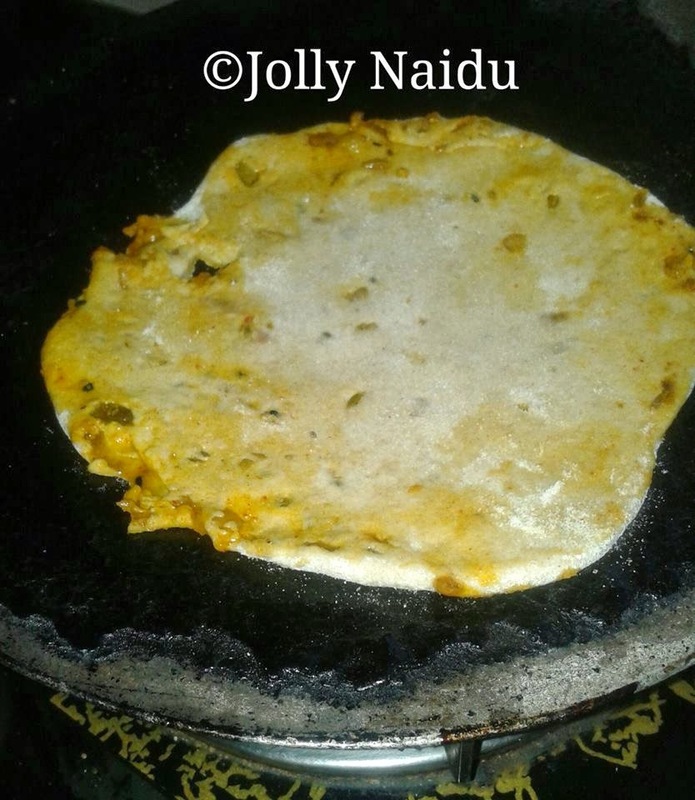 Just sprinkle the flour on paratha and smoothly make paratha. 3. Place it on a heated tawa and cook it as you would cook plain paratha. Cook both the side and use 1/2 teaspoon oil on one side, until light golden brown spots appear. 4. 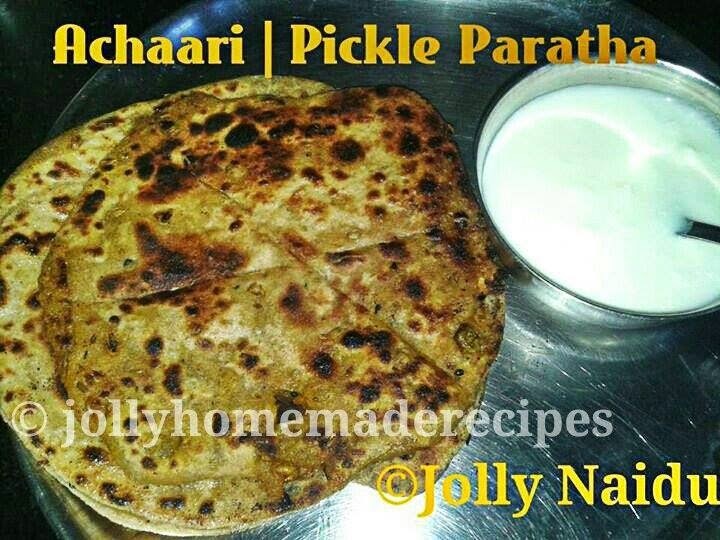 Serve Achaari | Pickle Paratha with dahi, Sweet Lassi or Salted Lassi. It is best combination with Tea also.